Provide your puppy with the best education to reach their full potential. Our private lessons, group puppy training classes, and puppy play groups offer puppy parents a variety of options for providing their puppy with the education and socialization opportunities they require during the most critical, early months of their development. 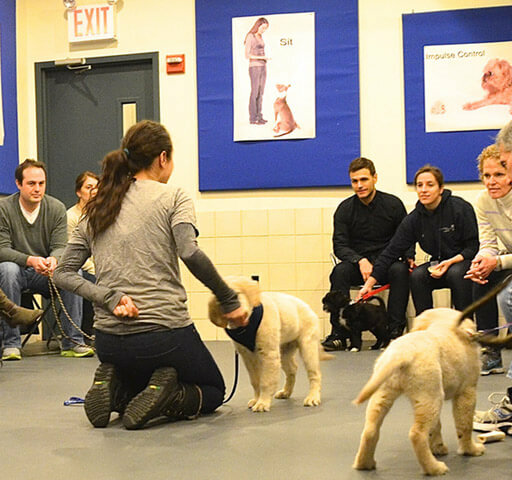 We offered NYC’s very first puppy classes in 1994, under the guidance of Dr. Ian Dunbar, the person responsible for revolutionizing pet dog training by creating the original puppy class curriculum. Aggression, fear and anxiety prevention. Trainer moderated play groups for socialization and fun! This course, for puppies 8-22 weeks of age, is a starting point for pups on their way to becoming well mannered and well adjusted members of the family. In this part of our Puppy Parenting Program you will learn the beginnings of fundamental obedience and manners skills like sit, down, come when called, and leash manners. Great attention is paid to house training, curbing nipping, mouthing, and jumping up, and socialization, gentling, and handling. For puppies 22-40 weeks of age, this course is available to those that have graduated from Puppy 1 or pups that have benefited from our private lessons. This class focuses on more advanced skills including stay, “real life” exercises for come when called, mastering self-control, leash manners, reliability around increased distractions, and cue discrimination. 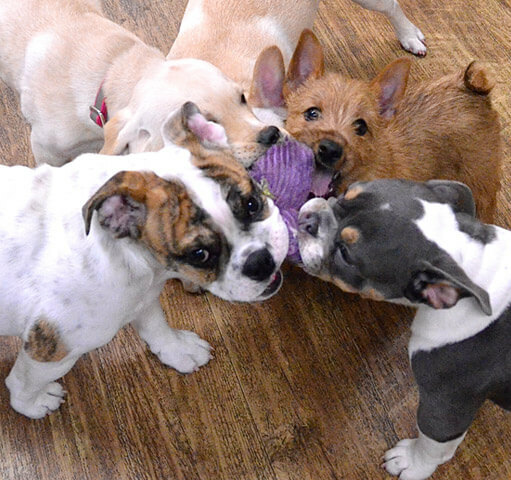 Our trainer supervised puppy playgroups are a terrific way to help socialize your pup. For pups of all sizes under 5 1/2 months old these groups meet at the Chelsea Dog Spa (32 west 25th street) on Tuesdays from 6-7pm, Sundays from 1- 2pm, and Saturdays from 12:30 - 1:30pm. Starting Sunday, April 19th at Camp Canine 46 West 73rd Street from 5:15-6:15pm. The fee is $20 per pup per visit. No need to make a reservation.